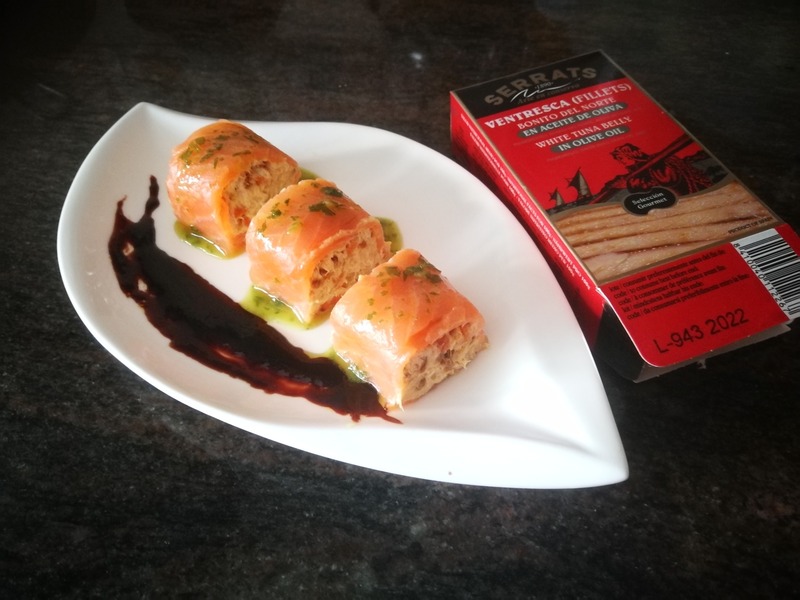 Smoked salmon rolls are always a successful starter. Antonio sends us a recipe that reminds us of sushi. A deliciously creamy bite that will disappear as soon as they arrive to the table. Cut the carrot into squares and cook it in the pan at low heat until tender. Mix the carrot with the drained White Tuna belly and the cheese. 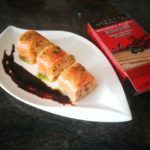 Place the salmon slices in a row, slightly overlapped, to form a sheet. Cut to pieces and decorate with basil oil and vinegar. A yummy bite. Thanks Antonio!